Gog and Magog ‘Chaos’ Appearing Now in Unholy US-Hezbollah-Assad Alliance: Rabbi - Breaking Israel News | Latest News. Biblical Perspective. American troops are en route to Lebanon to take their place in an unlikely alliance with terror group Hezbollah and the regime of Syrian President Bashar al Assad in a development that one prominent rabbi and a noted expert on Middle Eastern politics agree could be the final stage preceding the War of Gog and Magog. On Thursday, Pentagon spokesman Eric Pahon acknowledged that, following a request from Lebanese Prime Minister Saad Hariri to President Donald Trump, US special forces would be providing training and support to the Lebanese Armed Forces. The only problem: Lebanon has recently begun coordinating its military efforts with Hezbollah and Syrian troops loyal to Syrian President Bashar al Assad in order to fight the Islamic State (ISIS) and its allies. As political experts struggle to understand this bizarre situation, some have come to spiritual conclusions that this unholy alliance may indeed be the precursor to the prophesied Biblical war of Gog and Magog – a war which is characterized by unprecedented and all-encompassing confusion, explained Rabbi Yosef Berger, the rabbi of King David’s Tomb on Mount Zion. 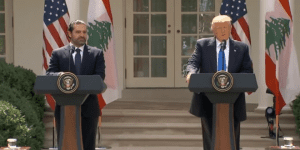 The story began to unfold last week when Lebanon’s Prime Minister Hariri met with President Trump and requested American support in fighting the ISIS-affiliated Al Nusra network threatening his northern border with Syria, political analysis site Debka reported. As part of the fight against terror, Trump agreed. Lebanon has cooperated with Hezbollah and the Syrian army, led by American enemy Assad, in its battle against ISIS. As a result, by fighting alongside Lebanese troops, American forces will also be fighting in an alliance that includes terrorist organization Hezbollah and the Syrian regime. Rabbi Yosef Berger pointed out that the unnatural alliances now happening in the Middle East unmistakably mirror the necessary chaotic aspect of the final battle of Gog and Magog. 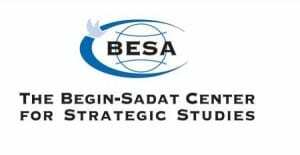 Dr. Eado Hecht, a specialist in military doctrine at the Begin-Sadat Center for Strategic Studies (BESA) at Bar-Ilan University, explained how this unexpected and bewildering reality developed in the current conflict, recognizing in it the potential for a Gog and Magog showdown. “The situation in Syria and Lebanon is not a simple two-sided conflict like most wars,” Dr. Hecht told Breaking Israel News, comparing it to the popular TV series Game of Thrones. “The conflict is international but it is really divided up into many small groups, divided up regionally and even tribally, each with its own temporary interests. Despite his academic perspective, Dr. Hecht acknowledged that prophetic descriptions of Gog and Magog were not entirely out of place in understanding the situation. “We aren’t yet involved in a war on the scale of Gog and Magog, but with forces as large as America and Russia involved, this could certainly change,” Dr. Hecht warned. “I believe the leaders are aware of this. Though they may not refer to it in religious terms, the concept of an all-encompassing war in the Middle East that is entirely out of control is certainly a consideration. Dr. Hecht added that because of the confusion and volatility, Russia and America have set clear red lines to prevent escalation that might lead to a direct confrontation between the superpowers. As disconcerting as the situation is, Rabbi Berger sees an underlying purpose to the pre-Messianic confusion. The explanation comes from the Book of Ezekiel, which describes confusion being replaced by knowledge.